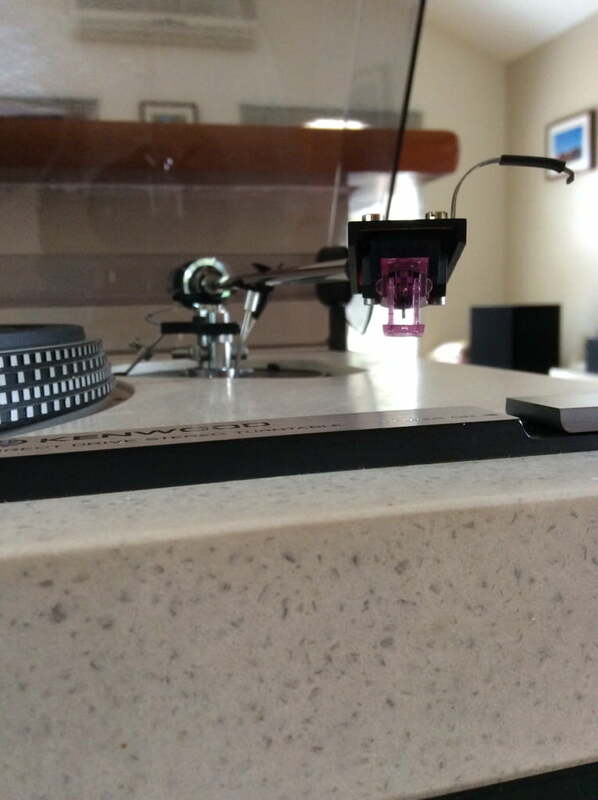 I haven’t posted for a while now because I have literally been flat-out with the latest turntable repairs and servicing! Seriously – I haven’t had a chance to even scratch my @#se. Recently I have serviced a kooky Sharp RP-105 linear tracking, drawer-loading both sides player – crazy repair – the owner had dropped the damn thing and there were bits falling out of it. It was basically going to be thrown out but I am very pleased to say I repaired her and she lived to play more records. 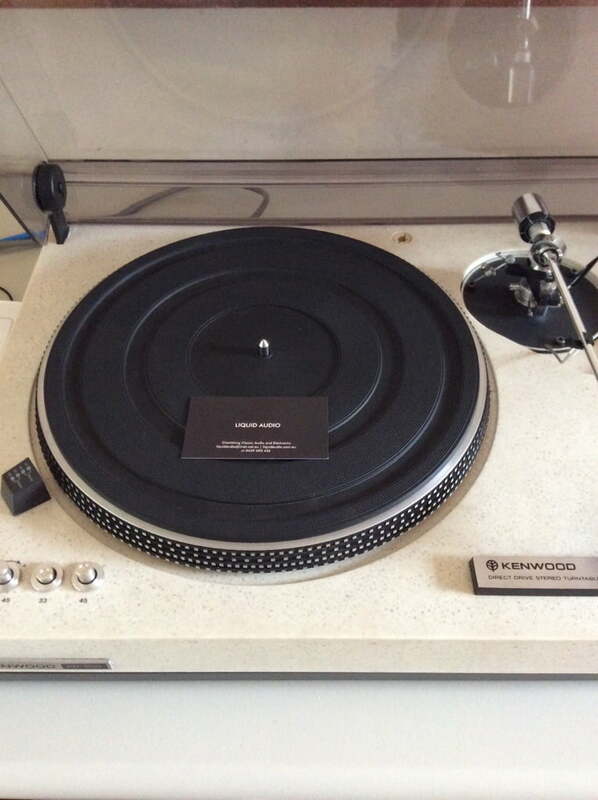 I have also been deeply involved in a complete work-over of a nice old Kenwood KD-500. 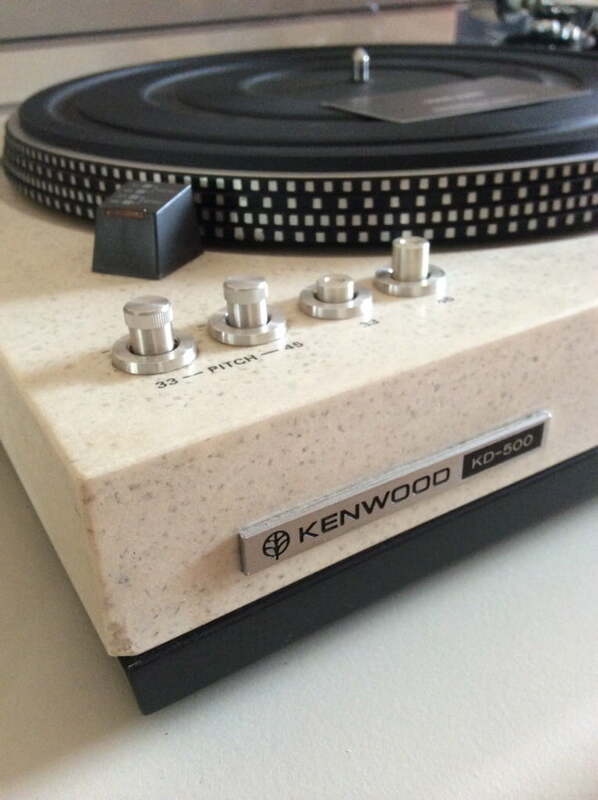 Those who know me will know I am a big fan of the older Kenwood decks, owning two myself including a KD-650 and a sublime L-07D. Well, this KD-500 came with a Grace 707 tonearm on which the owner had unfortunately managed to damage the headshell wiring. I rewired the headshell area and mounted a nice Denon DL-301 MC cartridge. Like all Denon carts, this is a gorgeous piece of work, complete with individualised frequency response graph. The service included carefully aligning the cartridge of course, and setting up the arm correctly. It now sounds fantastic. 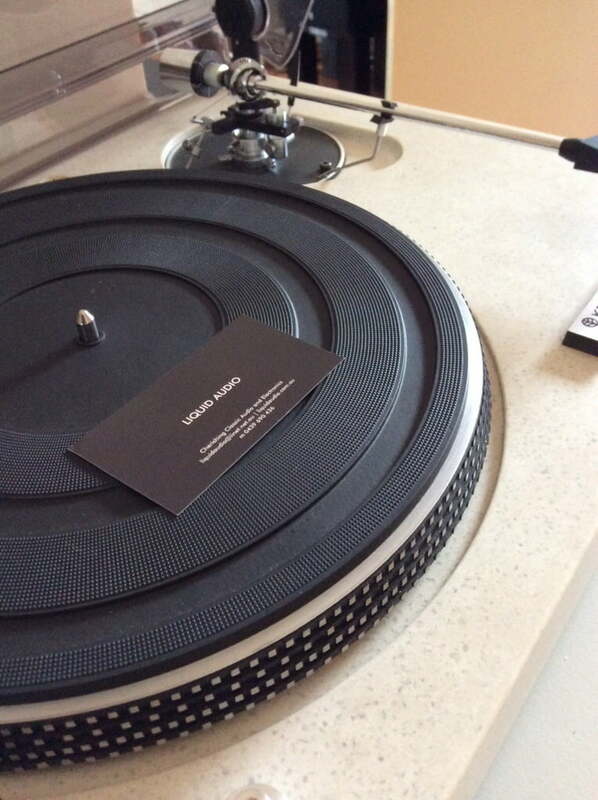 The weirdest repair I did recently was to a Rega Planar 3. This deck was in otherwise excellent condition, but the wonder had purchased it from someone who clearly could have written what they knew about setting up a turntable on a postage stamp in large font! The first signs that something was wrong was when I noticed how high the platter was sitting off the chassis. This was at least 15mm too high, with half of the the spindle sitting out of the bearing. This is a no-no for several reasons, mostly because it means the arm geometry can never be correct, as the arm will always be low on the back end. The other issue with this is that there will be a wobbling motion induced because of the large amount of spindle shaft exposed, and this will be a disaster for rumble. I found several issues as I dug deeper: the previous ‘expert’ had added another ball bearing to the bearing well. This is stupid enough, but the guy had added an over-sized ball on top of the existing original one, making the whole bearing a disaster area. Anyway, this was easily fixed. 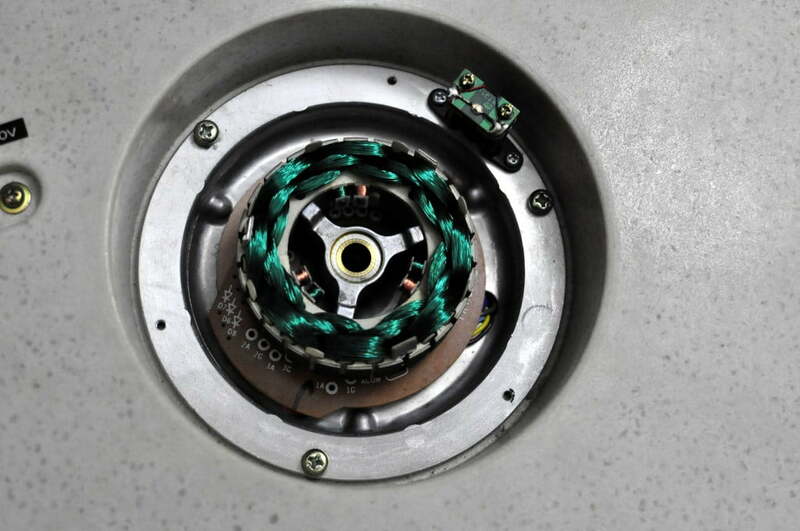 the second issue was probably the result of reading what internet ‘experts’ have done to their Regas – he removed the aluminium motor spacer, making the motor sit too high, and the pulley was rubbing on the underside of the platter once the extra ball was removed from the bearing! What a mess. I then had to re-space the motor to the correct clearances, fix the bearing using the one correct ball, and the final thing to restore was to remove the cartridge spacer that this guy had presumable added to try to resolve the terrible height mis-match that he had created. Once all this was done, I corrected the gross cartridge misalignment, put some nice synthetic oil in the bearing, lubed the motor, tweaked the arm and she was running beautifully again. There is a real moral to this story though – I have seen so much nonsense online about supposed ‘tweaks’ to things that engineers have designed and whilst some tweaks are justified, this deck was barely able to play a record as a result of the tweaking that had been done to it. 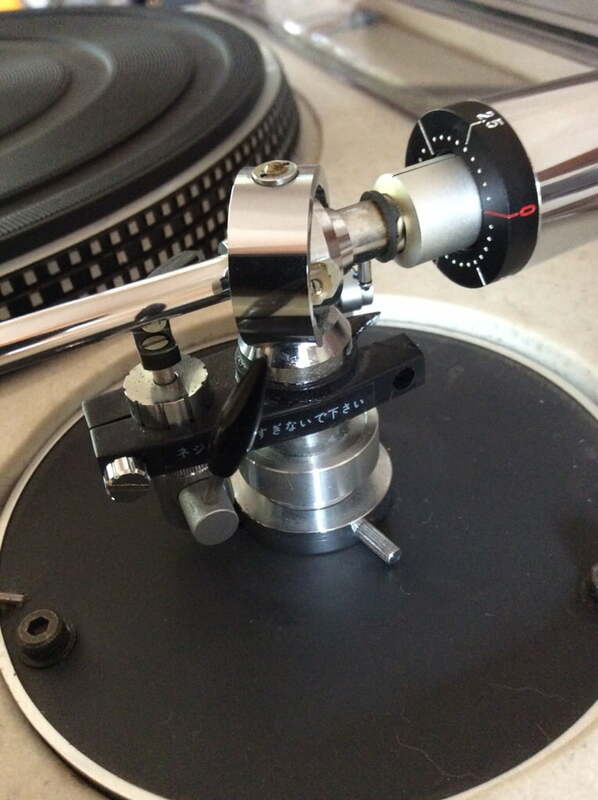 Most people really don’t kno what they are doing with complex mechanical systems like a turntable and it is really a good idea to leave the tweaking to those who do know what they are doing! Just finished improving a Technics SL-1200, added a nice new genuine Technics headshell and Ortofon 2M Red which made a dramatic improvement over the DJ style cart that was there before. I also had to in stall a new arm rest for my client and he is very happy with that. Yesterday I fixed a lovely Project RPM 10 for a very happy customer. The deck wouldn’t play a record and it was the result of two usual suspects: filthy stylus and incorrectly set-up arm and cartridge. I was able to show my customer some high-res images of the stylus before and after it was cleaned and he was as surprised as I was. Before, there was no stylus to be seen – it was simply buried in a blob of black gunk. After, she tracked the groove beautifully, once I corrected the cartridge misalignment. I also added some synthetic grease the the inverted Project bearing and performed a couple of other little tweaks and the deck now sounds simply superb. As always, if you need a service of any of your treasured hifi gear, just let me know!